Congratulations to the winner of the 32nd Annual Core Sound Festival Poster Contest – Brother Gaskill!! His artwork was chosen from 12 total entries from across the US! We are honored to have his artwork once again grace the posters as well as advertising items and apparel for the decoy festival! Check out Brother’s artwork! 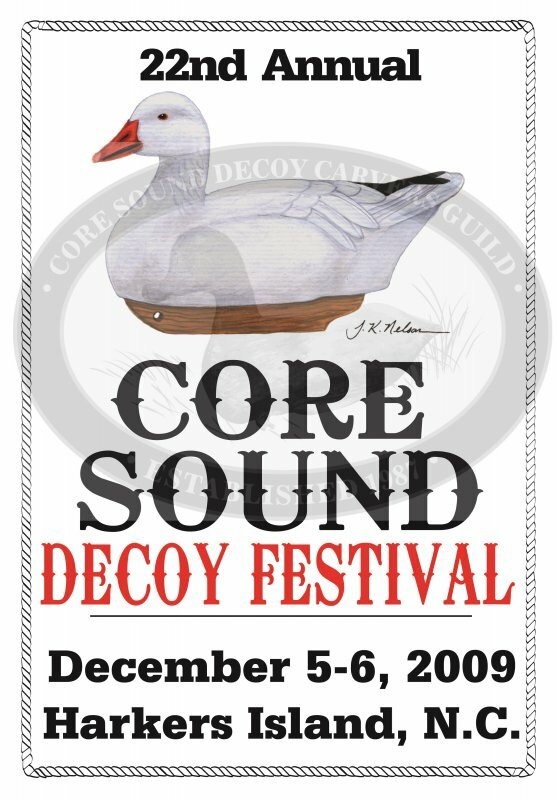 Get out your pencils and paintbrushes….it’s time for the 2019 Core Sound Decoy Festival poster contest! This will be the 19th year for the contest, which is sponsored by the Core Sound Decoy Carvers Guild. The Guild encourages artists to submit artwork that, if chosen as the winning entry, will be used on decoy festival posters, advertising flyers, and apparel. The featured bird for 2019 is a harlequin duck. As is the custom, a cash prize of $250.00 will be awarded to the winning artist. Please note that there have been changes to the rules!! Entries are now limited to ONE PER PERSON! The winner will be announced in April! Packets containing contest rules and an application may be obtained by following the link below or e-mailing Amie at amie_talton@yahoo.com.